Wide body for smooth picking and feel. Celluloid is the premier pick material. 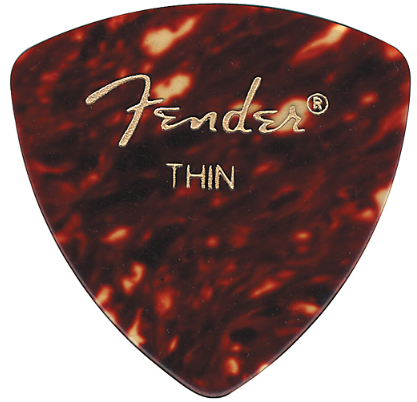 Celluloid picks give the traditional feel, with a smooth striking surface and a warm, round musical tone. These "346 shape" large rounded triangle picks provide three edges to use. When one wears down, just switch sides. The wide body provides plenty of surface to hold, and the rounded tip gives a nice, smooth action. Available in thin, medium, and heavy gauges.